Emy couldn't make the LIVING ROOM hike this morning; but decided it was more fun to go to doggy heaven. 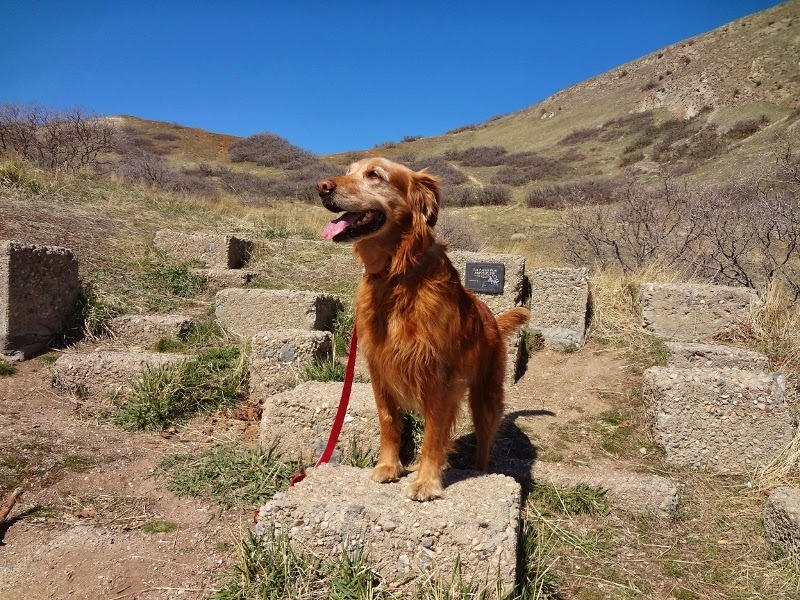 She had fun leading our Snow Dogs hikes and other Millcreek Canyon adventures. What a great day to be Outdoors with Jesus! 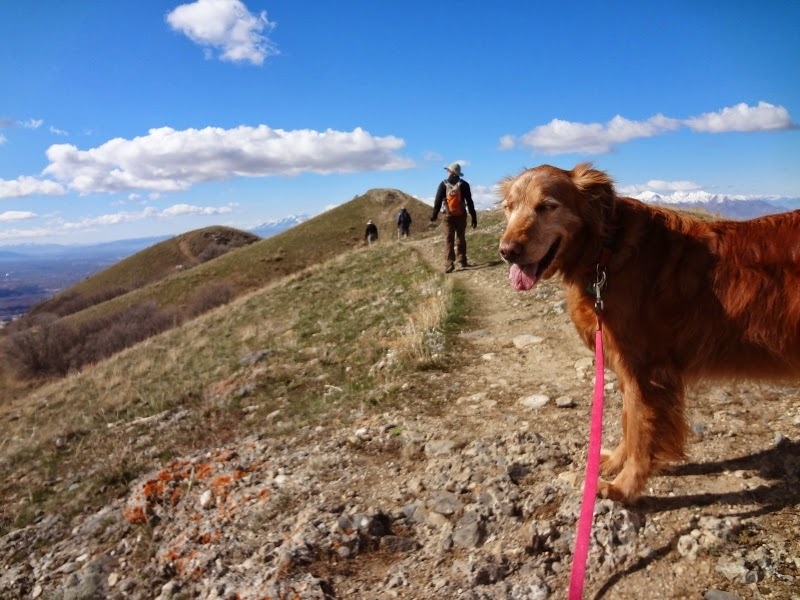 DESCRIPTION: This is a short hike up to a historic overlook with great views of the Salt Lake Valley. 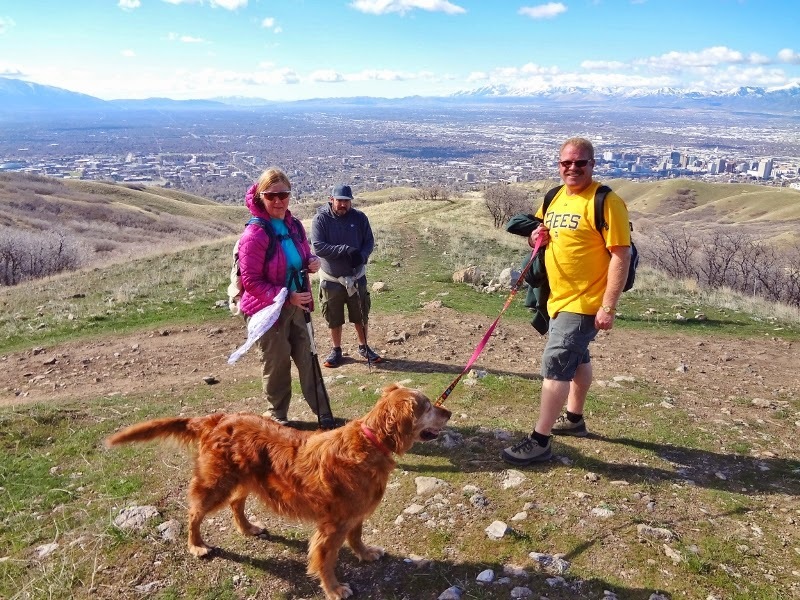 Begin the hike at Ensign Peak Nature Park. Hike straight up the trail. Take the short trail to the Amphitheater and enjoy the scenery. Then continue to the top. On the way back take the path to the Vista Mound. DIRECTIONS: Driving up State Street to the Utah State Capitol, turn right on E. Capitol Blvd, continue straight up the road to the top, turn left on Ensign Vista Drive. 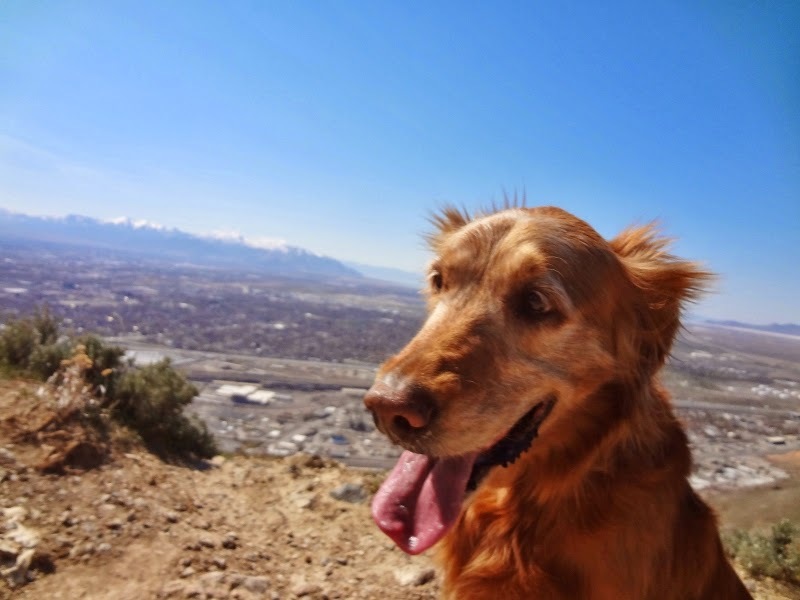 Look for Ensign Peak Nature Park. 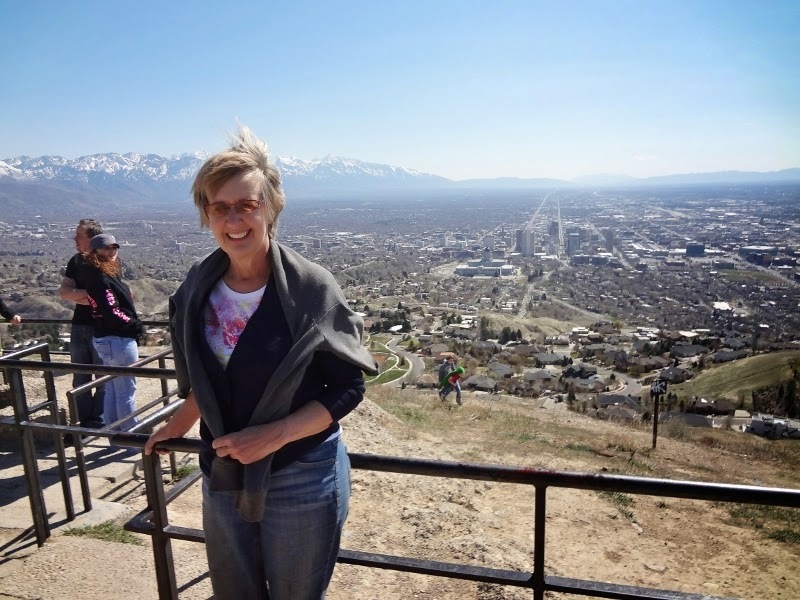 We enjoyed a hike up to Twin Peaks from the Perry Hollow trailhead and saw great views of the Salt Lake Valley. The weather was cool and sunny today and a fun day to fellowship with friends. DESCRIPTION: From the lower gate, take the Jeep road. After going around the first bend, look for a small trail on the right...this will take you up to the peak. 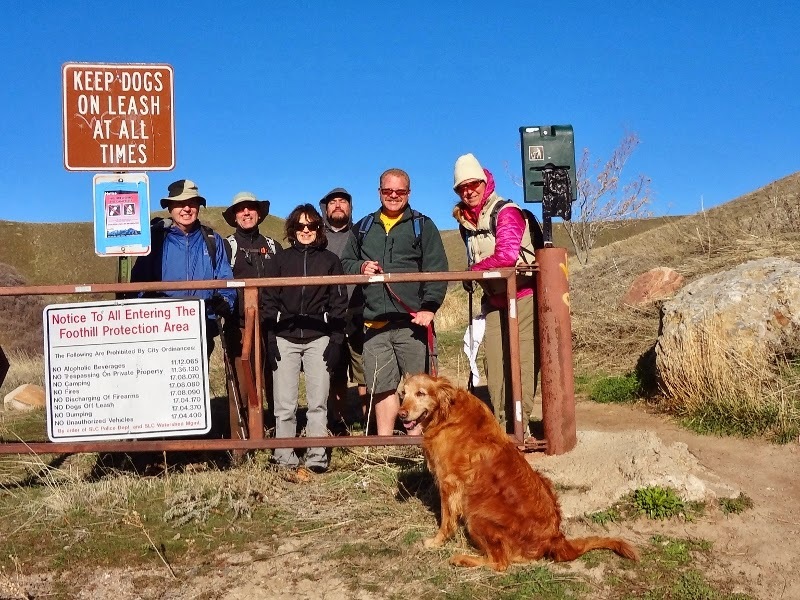 You will climb a steep hill and follow a Jeep trail to the back side of Twin Peaks. If you take the wrong trail, you will be on The Bob Sled mountain bike trail. Watch out. DIRECTIONS: From 11th Ave and Virginia Street, drive up the foothills on Virginia Street, turn right on Chandler, then left on Tomahawk Drive and drive west, turn right on Perry's Hollow Road and park at the end by the gate. God blessed us with a wonderful, sunny, blue sky day. 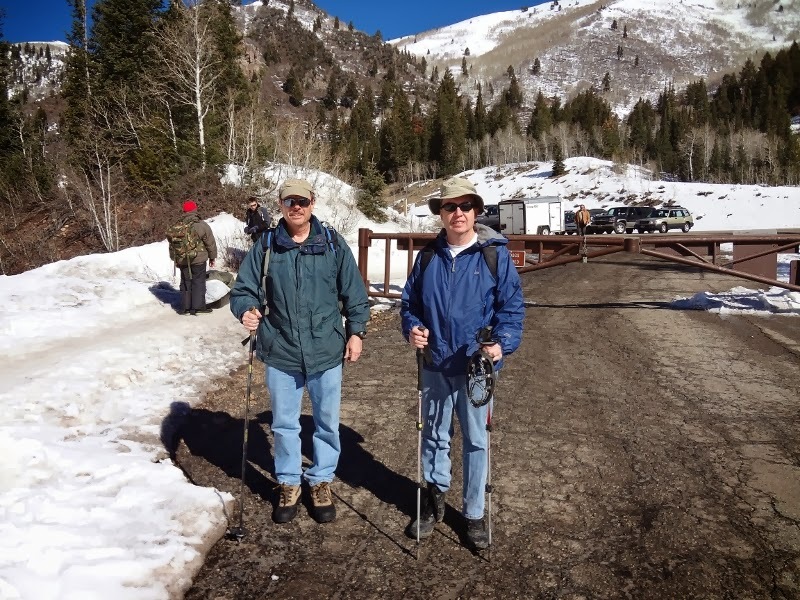 No snowshoes needed; just a good pair of snow boots and hiking poles. 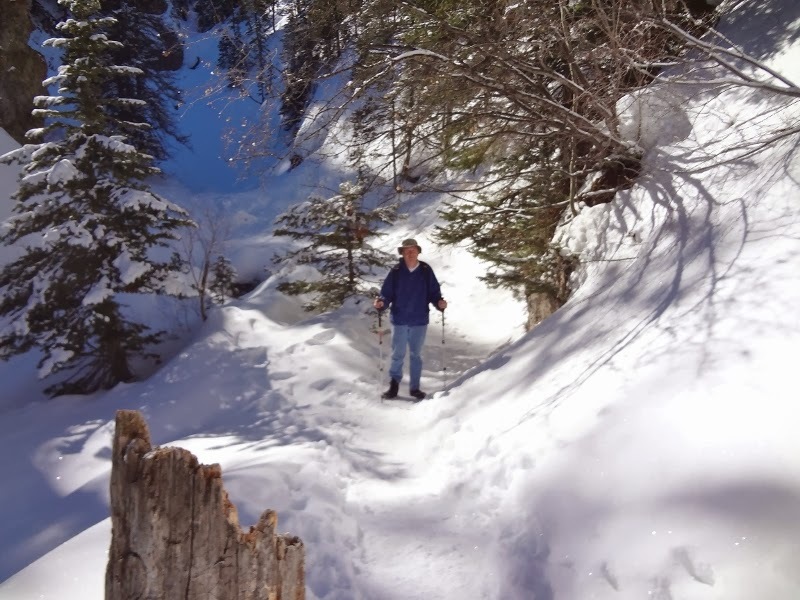 NO DOGS allowed in Big Cottonwood Watershed.